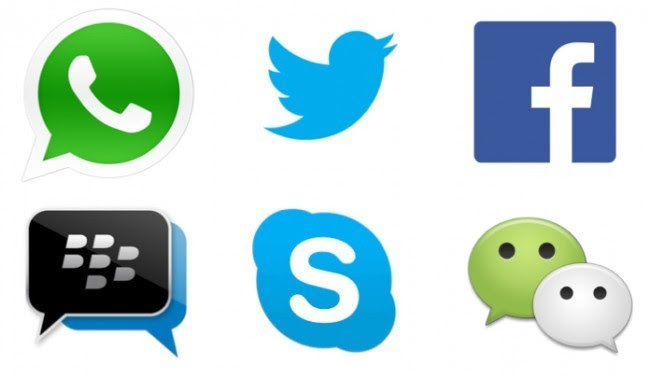 6 Tips to Have an Interesting Conversation on Instant Messaging - Haba Naija! Instant Messaging applications like Facebook messenger, BBM, Skype, and WhatsApp have made conversation easier. Thus, forcing people to make and send less calls and text messages. In addition, instant messaging is cheaper and affordable. You only have to pay the data charges. This said, a problem some have is having an interesting conversation when using IMs. They find it difficult to have a conversation beyond hello? How are you? What’s up? This makes dialogue very boring. If you find it difficult to have an exciting conversation on IMs, Jumia Travel, Africa’s No 1 hotel booking portal roll out six helpful tips. There is no need to be overly serious on IMs. Since they are not with you, you are spared of any form of panic. So, in breaking the ice, you should start the conversation on the right foot by saying hello? or what’s up? You can even start an interesting story of what happened to you. This will catch her interest. If she is obsessed with a particular hobby, you can make fun of her. It can be music, dance, singing, watching movies and even sports. However, make you do not take it too far. Exchanging compliment is important for a prolong conversation on IMs. Women love compliments. This can also help the chat. A compliment is not about telling her she’s beautiful. If she says something interesting, you can respond by telling her she is very smart! She will send you a smiling emoticon! The small talks are important so also are the serious ones. Do not focus too much on the small talks. You should ask about their affairs. It will show that you care about them and you will get to know them better. It is essential to sign off at the right time. The best time to end or wrap up a conversation is when things are still interesting. This will leave her with the desire to talk to you more. IM conversations are faceless. Sometimes, you need a face-to-face interaction to fuel the passion of your relationship. So, it is important to go out as often as possible. With this, you will find a bond and you can transmit it to your IM chats. This is very important.